Year after year, the rose tops the poll for the UK's favourite flower, yet it seems our love for growing them is diminishing. From the 1960s and 70s, when we planted around 60 million a year, the numbers have fallen to around a tenth of that figure. So what’s gone wrong? The plants are actually better than they were then, in terms of disease-resistance and general health, because newer breeding means that growers can introduce qualities that were not available then. 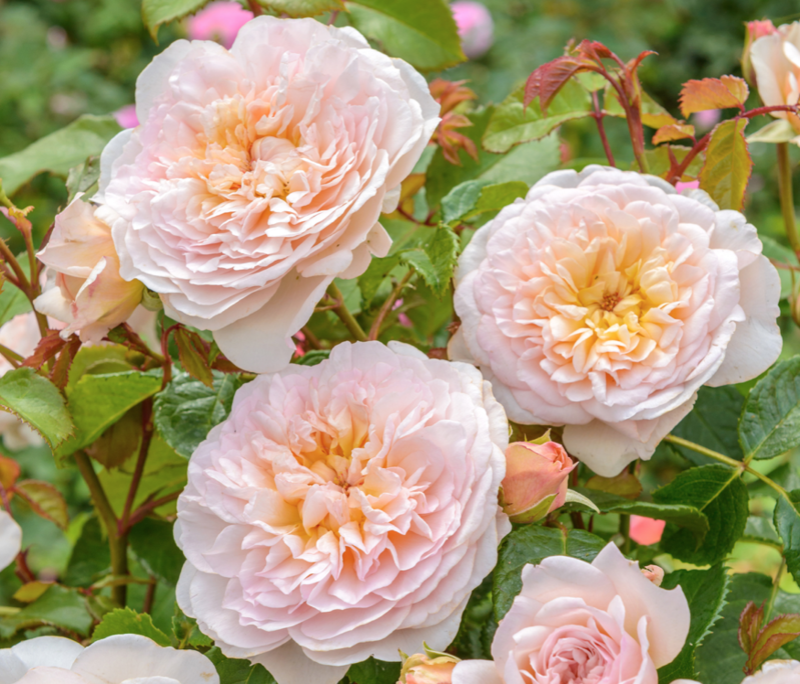 Scent had also fallen by the wayside in favour of bigger and better blooms, but when customers complained, the breeders began to reintroduce fragrance and many of today’s varieties have wonderful scent. 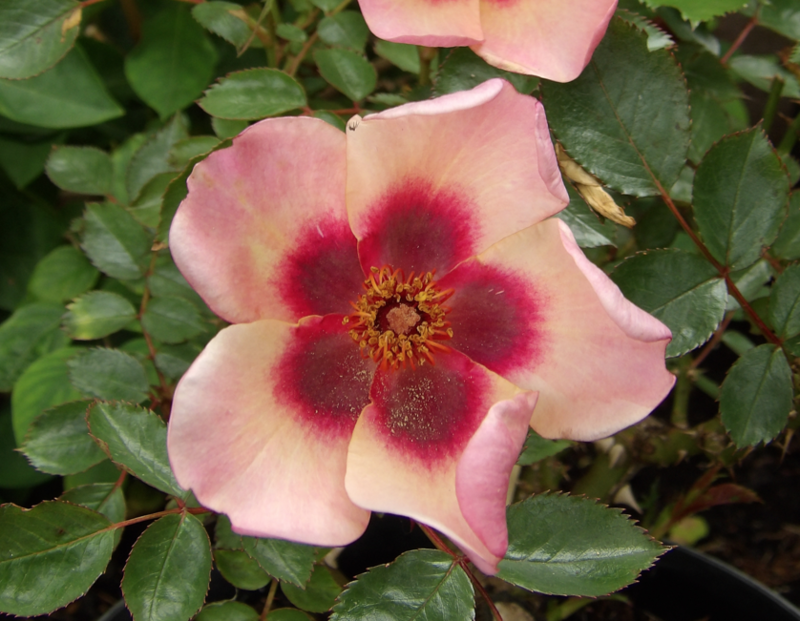 The new David Austin rose “Emily Bronte” is a fine example of this. Planting and pruning are always a bugbear of the rose. Read three books and you will usually get four different ways to do both, but it can be de-mystified very easily. 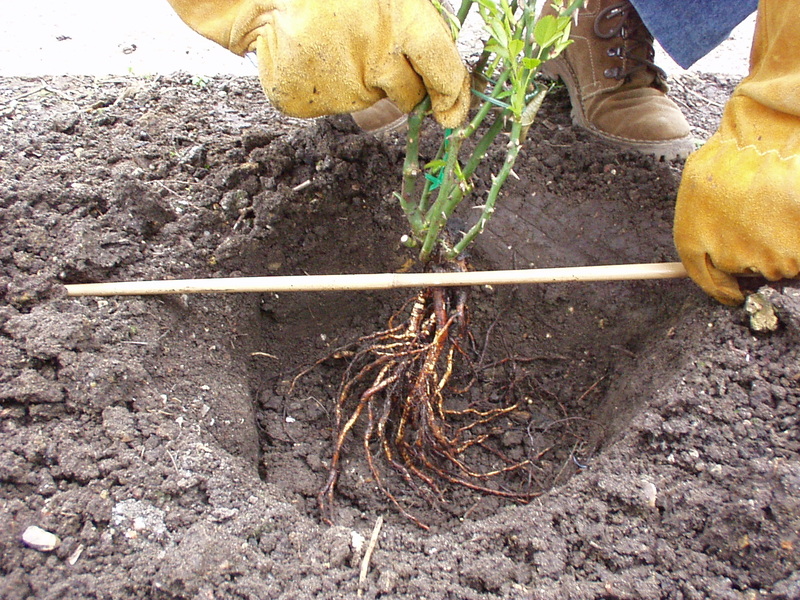 ALWAYS plant a rose with the graft union (where the variety is joined to the rootstock) ABOVE soil level, especially if you intend to mulch your roses Why? Very simple: the rootstock is a vigorous plant that has had its top cut off, so it will always try to make shoots to replace it and this will result in suckers that will need pulling off right down at the base (to remove any dormant buds). This is messy and time consuming. People who advocate burying the graft union will tell you that doing this makes the top variety send down roots to help the plant establish, but doing this just encourages yet more suckers as the rootstock becomes redundant. Planting with the union above the soil by three to four inches means that the top variety remains dependant on the rootstock, which in turn diverts all its energy into the variety, rather than into producing suckers. It was always said that you should never replace a rose with a rose, although no-one could ever tell you why. Now we know that it’s all to do with the soil organisms that live on and around the roots. A big old rose has developed a big colony of soil organisms, beneficial fungi and bacteria that live on it and, in turn, provide nutrients for it. If you put a small new rose into the same spot, it gets completely overwhelmed and usually dies. Beneficial fungi, in the form of mycorrhiza, help overcome this and using a preparation such as Rootgrow as you plant will help the new rose establish. Pruning depends on the type of rose, but you should always start with the four Ds: Dead, Dying, Diseased and Damaged. Anything in these categories needs removing completely. Move on to Crossing or Rubbing: shoots that damage each other provide ideal infection sites where fungal spores can enter. Hybrid Tea roses are best cut down every spring to a strong outward-facing bud about six to eight inches from the ground. Aim for a goblet shape, so there is good air flow through the bush to reduce the chance of fungal infection. Multiflora (Floribunda) roses need little more than dead-heading of spent flowers and the application of the four Ds Rambling roses also need the four Ds and dead-heading. Climbing roses flower best if their stems are trained horizontally, so training them along wires when they are young will bring benefits as they age. Pruning should consist of trimming side shoots back to 2-3 buds from the main stem. clearing away fallen leaves and flowers removes overwintering places for spores and insects. good old-fashioned hoeing disturbs the soil, which brings pupae to the surface for birds to find and means spores dry out and blow away. pruning to create an open, goblet shape allows good airflow through the stems, which stops fungal spores settling. Not everyone wants to spray, but the right product, used at the right time, can save a world of work later on. First spray - as the leaf buds begin to open (to stop spores settling and attacking the leaves) Last spray - after leaf fall and you have cleared away all the fallen debris, spray to kill any overwintering spores. Spray the soil underneath, too, and also any nearby fences, walls or support structures where spores might overwinter to stop them re-infecting the plant next year. In between, spray according to the instructions on the product. NEVER, NEVER, NEVER use washing up liquid to control aphids on your roses. This is a frequently-spouted piece of advice that always marks out the non-trained gardener. Washing up liquid is designed to remove grease from your plates and it will strip the oils from plant leaves just as efficiently. This leaves them unprotected and exposed to the elements, which will damage them and possibly kill them. Without the leaves that produce essential nutrients from sunlight, the plant will struggle to survive. It is advice that stems from the days of using insecticidal soap on plants, but this had a very different formulation to today’s washing up liquid. Got a problem with your roses?